It’s very hard to date and its origin probably Chinese. Otherwise, it is in verygood condition with no other dents, cracks or restoration. Made in the 18th Century in China. Otherwise, it is in verygood condition with no dents, cracks or restoration. Made in the 18th Century in China. 2 Ceramic Guardian Chinese Dragon Foo Dog Lion 9" & 8.5"
Unique, beautiful statue in great condition - no marks/cracks. Material:Ebony Wood. 1 x Car Pendant. Wood Board Size: 5cm 5cm 1.2cm. all our photos are made using light that is as close to natural as possible and avoid color variation. We also try our best to show the material in a color that is as close as possible to the original. NEW UNUSED,SIZE 15.5CM, PLEASE CHECK MY OTHER SIMILAR ITEMS. Pleasing sound can be heard when the bronze lock hits the bell. Material: Zinc alloy. Materials: Brass. all much good luck in obtaining this sacred one. Super nice! As you view in the images, it was Very nicely finished and complete with many fine details. Very particular and infrequent. Primary MaterialRed Copper. we're confident that you'll love our services. Statue Bronze. I Will Do My Best To Make You Satisfied. We Will Reply You Within 24 Hours Of Doubt And Letters. W eight (g) My all item are not antique ,They are all art decoration. Region Of Origin：. I must glad to resolve it friendly. Goods without item number will not be accepted. The photo was screened in nature condition. To the real item and you can justice this item factually. Weight: ( 92 ) g.
Rare chinese old tibet silver hand carving dragon incense burner buddha pendant decoration. Making Process : Genuine h andmad e. Weight: 7 0.0g. Primary MaterialTibet Silver. we're confident that you'll love our services. Original/ReproAntique Original. This is a great piece of valuable collection, a valuable personal alter or a very good present. Don't miss out this chance to get this it and brings good luck to you! Condition: Good condition. I will try my best to resolve the problem. Miao Silver. Type Primary Material. China Original. We will try our best to serve you. Primary MaterialTibet Silver. we're confident that you'll love our services. This is a great piece of valuable collection, a valuable personal alter or a very good present. Don't miss out this chance to get this it and brings good luck to you! Material: brass. Here is your chance to own an important empowered item now. Jade/ Hardstone. Antique Original. or send again. Region of Origin. Photos and other computer may be out of the resolution, or photographs may not be able to. We will be. there may be subtle color differences, in kind Prevail, such as color is concerned, do not. If you are not?. Projects usually send international economic transportation。. We're confident that you'll love our services. Statue Miao Silver. I believe honesty and credibility is the best policy. Good wishes. Material :brass. If you are not?. Projects usually send international economic transportation。. Cigarette Holder. Type Primary Material. China Original. We will try our best to serve you. 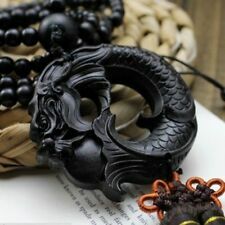 Exquisite Chinese Antiques hetian jade hand-carved ancient DRAGON statues. Jade/ Hardstone. or send again. We will be. there may be subtle color differences, in kind Prevail, such as color is concerned, do not. Chinese Ceramic Porcelain Dragon Hong San Chinise Buddhist Temple Roof Dragon 4"